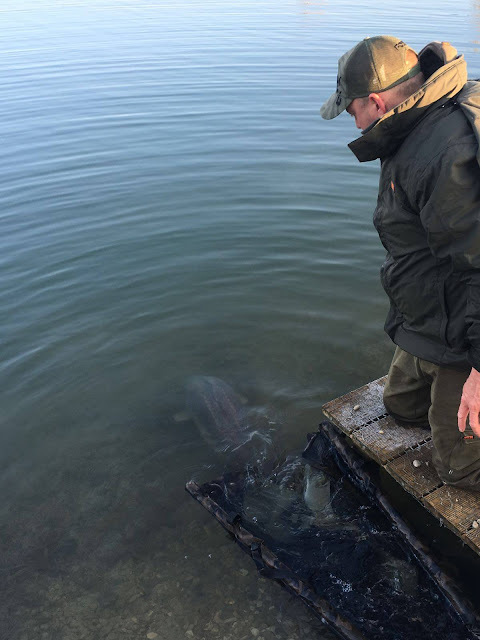 Blogs from the bank: Carp and Coarse fishing: Guest feature: Crete Carp Saxby Smash! 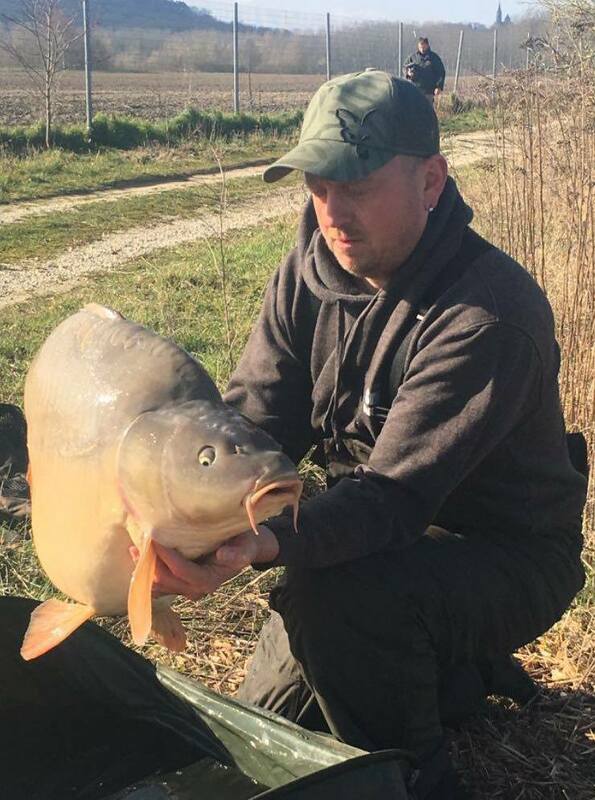 Guest feature: Crete Carp Saxby Smash! 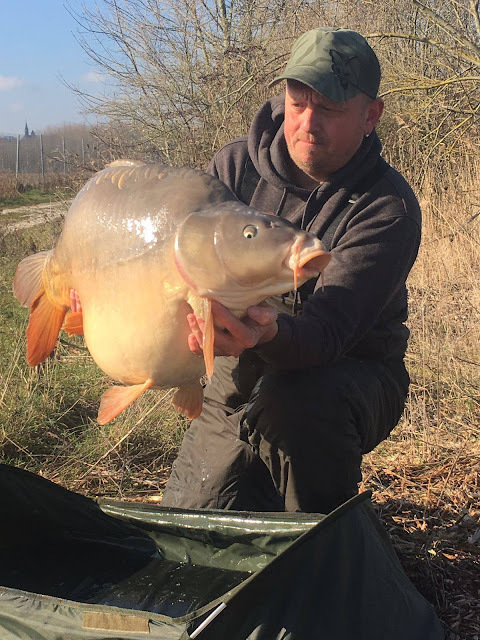 When I arrived at the Crete Lakes complex in the Nord-Pas-de-Calais-Picardie region of Northern France with my younger brother Rob, on a cold March Sunday morning, I had no idea that the week ahead of us would turn out to be such a memorable session! As our birthdays are within days of each other, we had decided this year to celebrate with a bit of a ‘brother’s social’ and at only £150 for a ‘Winter Ticket’ giving a weeks free-roam of the virtually empty 130 acre complex for 7 days, Crete Lakes seemed like the obvious choice. The bailiffs all speak good English and were very helpful in guiding us to a location to suit our fishing styles and hopefully fulfill our hopes for the session. Rob has only been carp fishing since July and with a PB of just 13lb, all I really wanted from this trip was for him to bag a proper lump! A quick walk around the recommended lake raised my confidence further as I spotted a few showing fish and had heard the lake produced a fifty the week before. On the down side the pressure being right up and a strong Northeasterly didn’t exactly comply with my idea of ideal conditions! Still, I got to work with the marker and took the time to find my spots. In fact, I took 4 whole hours! Not being satisfied with the first spots I found, which were perfectly fishable if not a little choddy, I continued to probe further until finally I struck gold at about 120 yards with a small, perfectly clear patch about the size of a car bonnet, which I can only describe as being like an ice-rink! 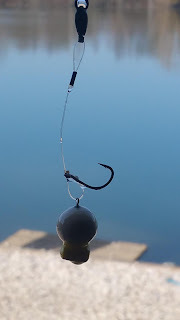 I knew beyond all doubt that I could present any rig perfectly on this bottom, my only potential concern being the omnipresent crays, which sure enough completely mangled the bottom bait I offered up first. To combat this I switched over to hinged-stiff rigs on all 3 rods fishing a 15mm Nutcracker popup tipped-off with a piece of buoyant corn within just a few feet of each other. I use Nutcracker for pretty much all of my fishing now and have every faith that I can leave these popups out for 15 hours and they will still be performing perfectly. We found very quickly whilst trying to stick some boilies out to the spot that the gulls did not miss a thing! This is where the impact spod came into its own allowing us to get a fairly tight spread of glugged baits precisely on the spot which we topped up by about 2kg each day and a spread of maybe a couple of hundred untreated baits ‘little and often’ across the general area with a stick whenever we thought the gannets weren’t looking: we even ended up hiding in the bushes to try and flick them out without getting caught! 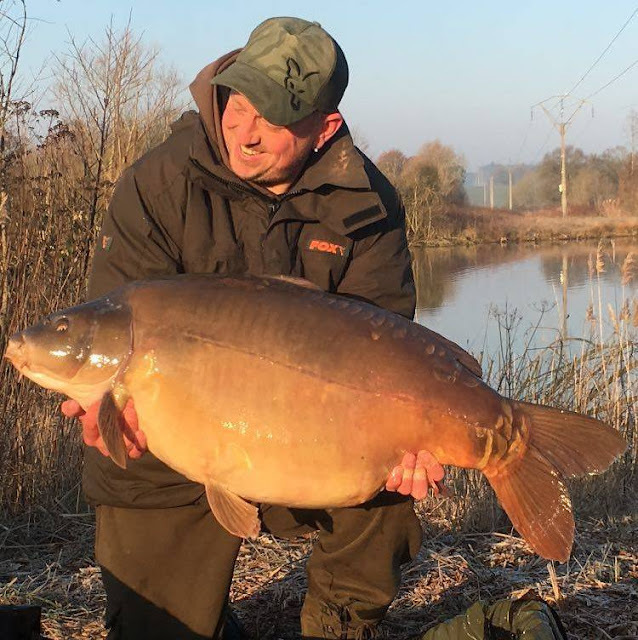 Rob was the first off the mark on day one with a very special fish at 40lbs, which smashed his previous PB to smithereens! This was followed closely by four 30s and a couple of 20s. I could not have been happier for him. The next day was slow, possibly due to increased pressure caused by anglers moving in adjacent to us. I managed a 22lber that night but needed to catch up with my brother who, in spite of being new to carping, was currently thrashing me! A few blips on my left rod woke me, just as dawn was breaking on my birthday and quickly escalated into a steady one-toner. Thankfully I was fishing open water with no apparent snags or hazards to worry about but that didn’t stop my heart from fluttering as I first caught sight of what had to be a PB-shattering mirror. Words can’t express how I felt when I finally got it in the net. My jaw dropped and I just stared down at it in the water for 3 minutes, marveling at its enormity. Standing on the wooden platform at the foot of the swim, I leant over and attempted to lift it but it seemed to be stuck. I presumed the net had got caught on the platform but on closer inspection this turned out not to be the case – it was just really heavy! Once in the sling it tipped the scales to exactly 61lbs – what a birthday present, I was absolutely buzzing! 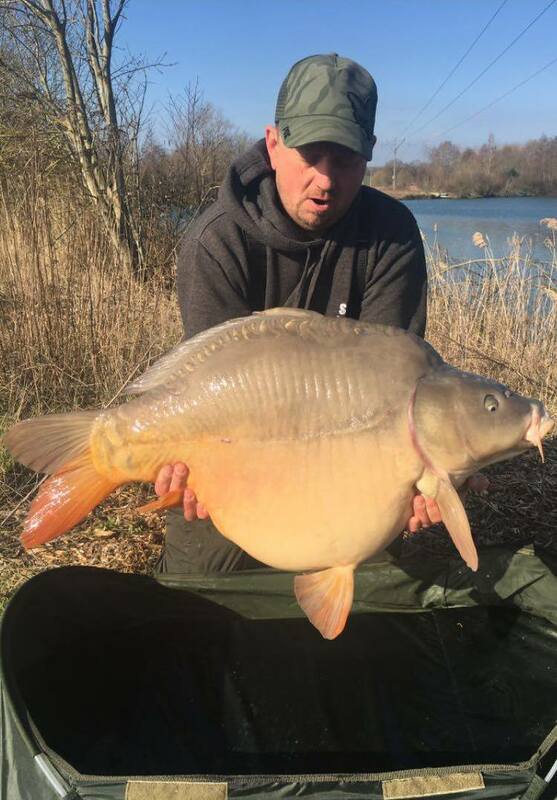 I had not expected such a fish for myself, which blew my previous French PB of 42lb out the water! The next night, the same spot produced a 51, a 40 and a couple of 30s – all just on the left edge of the baited area. 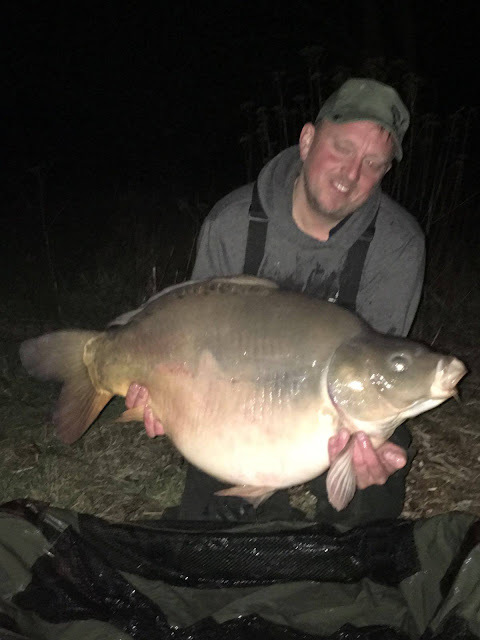 Day 6 was Rob’s birthday and he too was treated to a scaly present in the shape of a 50lb mirror- yet another giant and another PB! During the week other anglers who had moved on to our lake but were struggling to catch, were coming over and asking how we were doing it. It really isn’t a secret and certainly not overcomplicated. 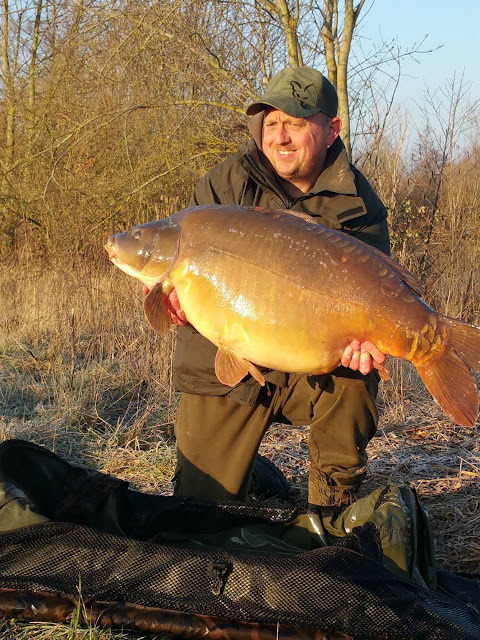 We kept the bait trickling in steadily – a tactic that harks back to my match fishing days, used size 4 ESP MkIIs on a chod section of Fox Rigidity in front of Terry Hearn’s new ESP Tungsten Loaded Coated Hooklink as a boom. I know people are skeptical about big hooks on chods but with the size of these fish’s mouths you really can get away with it and along with a 4 ½ oz lead on a semifixed setup, they were all perfectly nailed in the bottom lip. On the last night of the trip the left rod ripped off again, the culprit this time being yet another 50- I was ecstatic! What a week it had been! I didn’t cast back out, just made myself a celebratory cup of coffee and sat back reflecting on the epic haul we had experienced. There had been points when fish in excess of 30lbs were coming so frequently that we were unhooking twenties in the water and releasing them without ceremony. It truly was the trip of a lifetime!